Ensure that the power cords are disconnected from the system. Lower the service processor into position. 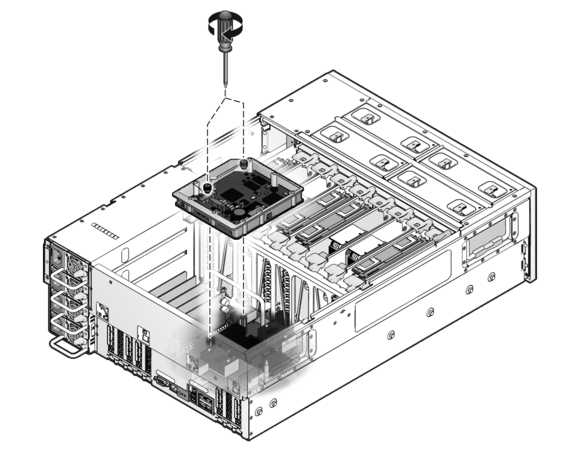 Ensure that the service processor is oriented correctly over the motherboard connector and the two snap-on standoffs. Press down evenly to plug the service processor into the motherboard. Secure the service processor with the two captive No.2 Phillips screws.